Bozeman is called “the most livable place” for good reason. Enjoy world-renowned fly fishing, dramatic mountains for hiking, mountain biking, rock climbing, skiing, hunting, and backcountry exploring, Yellowstone National Park, and impressive wildlife. 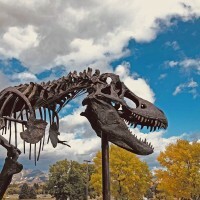 When you are ready for a more city experience, dive into Bozeman’s thriving arts and culture communities, ranging from main street festivals, farmers markets, cultural centers and museums to symphonies, theaters, and art galleries.